With its oversize power and class-exclusive performance features, the 2018 Ford F-150 breathes new life into America's favorite pickup truck. Buy this modern, full-size truck because you want best-in-class tow ratings and ample hauling power. In addition to transporting your family camper and work supplies, the F-150 delivers a smooth ride and rich interior comfort. 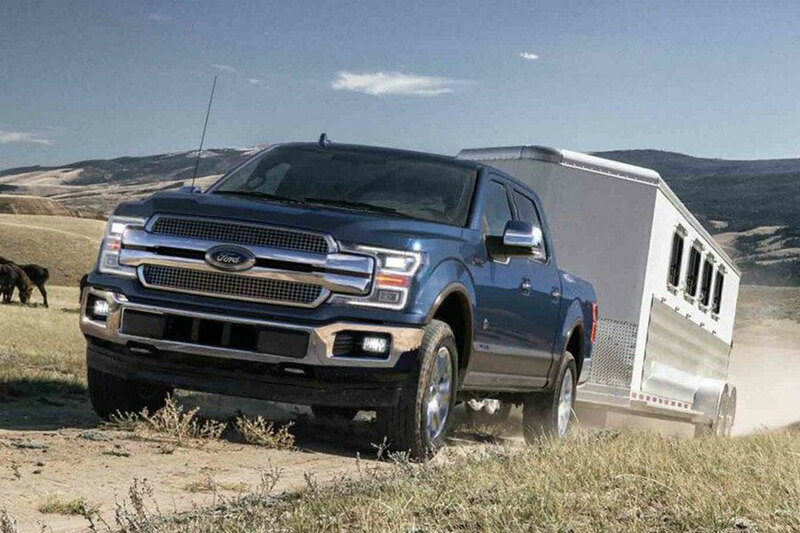 Its exclusive aluminum body panels make the truck light on its feet, so the F-150 is easy to maneuver in a tight spot. Inside, you'll find every luxury feature you could want. You can deck out your F-150 with so many upscale items - think high-end leather upholstery and front seats that give you a massage - that you'll feel like you're rolling in a luxury European SUV. Which 2018 Ford F-150 Trim Model Should I Buy? With six trim models and various cabin and bed configurations available, the F-150 is a people-pleaser. Choose between the regular, extended SuperCab, and SuperCrew cabin options for the passenger space you require. The latter two offer backseat space. The SuperCrew is the bigger of the two, able to double as family transport on weekends. Depending on what you plan to haul, there are a number of bed options available. With the regular and SuperCab options, you can choose between the standard 6-foot-6-inch bed and the long 8-foot bed. The SuperCrew offers either the standard bed or a short 5-foot-6-inch bed. The F-150 trim models include the base XL, mid-range XLT, upscale Lariat, Western-themed King Ranch, uptown Platinum, and high-end Limited. Both the XL and the XLT give you a comfortable modern ride at an excellent price, with supportive seating and easy-to-clean cloth upholstery. From the Lariat on up, you'll enjoy classy extras, like leather upholstery and heated front seats. These models also come standard with Ford's high-tech infotainment system, Sync 3. The F-150's Apple CarPlay and Android Auto capabilities let you call home and stream music via voice control, maximizing your on-road safety. Sync 3 is also available as an option on the mid-grade XLT. Max tow ratings depend on powertrain and configuration. But, with the right combo, the modern F-150 can tow max loads of 12,700 pounds. That's some serious weight, equal to a huge family camper. You should be able to move an occupied double horse trailer or heavy farm machinery, no problem. Should you require extra heft, add the Max Trailer Tow package. This extra equipment helps the F-150 tow up to 13,200 pounds. The 2018 Ford F-150 is also a skilled pack mule. Depending on powertrain and configuration, this full-size pickup truck can haul up to 3,270 pounds' worth of business supplies, like construction equipment. What Unique Features Are Offered? 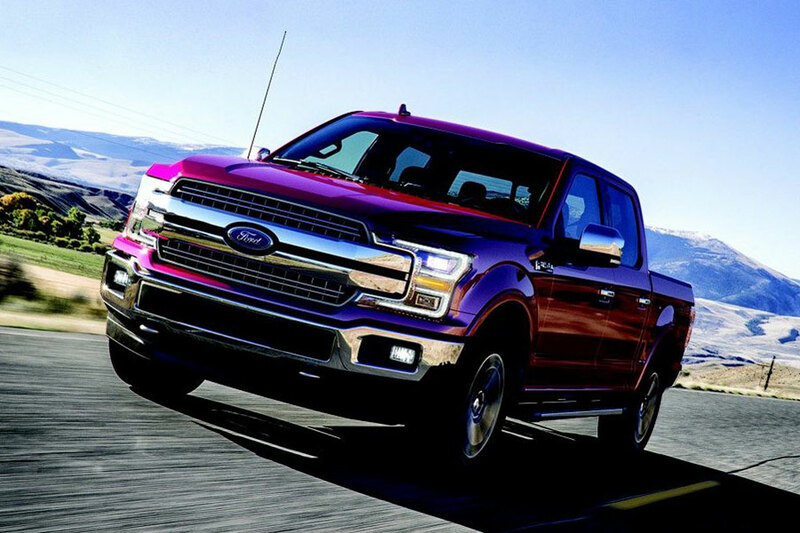 The 2018 Ford F-150 stands apart from competitors, with a number of exclusive features. The Pro Trailer Backup Assist system lets you control trailer direction, via a dial on the dash, so you can avoid jackknifing or holding up traffic as you back a trailer into your driveway. The upcoming Trail Control system is like cruise control, but for rugged terrain. It allows drivers to set off-road speeds, and the system even controls acceleration and braking, maximizing your overall experience.